Born Edson Arantes do Nascimento, he scored 1,281 goals in 1,363 matches, and was voted Football Player of the Century by the IFFHS in 1999. He is considered by many to be the greatest soccer player of all-time. 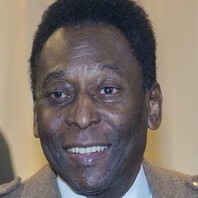 How much is Pele worth? When you control the ball, you control the score.